Achieve profound personal change and crack the code to your success. Prepare for life-changing breakthrough moments and get the clarity you need to achieve your vision. The program is centered around you and is all-encompassing – leaving no stone unturned to ensure you are confident and empowered for success. No longer be held back by fear, uncertainty or conflicting beliefs. Get clarity on your next steps and purpose in life. Work with Jacqui face-to-face in Bendigo, or online via video & phone. I am glad that I choose to start coaching with you when I did. You have been able to help me make the fine adjustments to put things into a sharper focus. I have noticed that I have grown more pragmatic and have truly let go of some of my self-limiting beliefs. I was able to develop an excellent rapport with Jacqui, and our sessions were quite light hearted despite the difficult topics. Are You Tired of Chasing Happiness? Do you feel trapped in your career, relationship, or life in general? Do you want more out of life, but are weighed down by unrelenting setbacks? Do you feel exhausted and unable to achieve a work / life balance? Are conflicting values and beliefs dampening your happiness and outlook? Others, maybe like you – need help to identify and achieve what you really want. There’s no shame in needing help. In fact you should be commended. Many of the most successful people in the world rely on a team of people to succeed. It’s natural to feel the desire for change, to grow, to explore, to be loved, to be challenged and to achieve the success and happiness you desire. Jacqui understands how difficult it can be to overcome issues and feelings of “I’m not good enough” and other roadblocks making you feel insecure, uncertain and not getting you to where you want to be. Overcoming low self-esteem, loving yourself and feeling good from the inside out is a key part of the program and essential to living your life with passion & purpose. Working with Jacqui in person, one-on-one gives you the space and time to hone your strengths and visualise your future with clarity. Understand what makes you tick (Your intrinsic values and motivators). Identify gaps, solutions and chalk up your plan to make it happen – You’re closer to success than you think! Beat procrastination and stay on track with accountability and a consistent schedule. Break through your boundaries and limiting beliefs. Get quick wins early to build momentum and motivation. Mindfulness and meditation leaves you feeling refreshed, calm and clear. Affirmations, gratitude and self-awareness supports you during significant life change and transformation. Strengthen your personal and professional relationships and become a better partner or leader. Communicate love and kindness. Live by your values and demonstrate sincerity daily. Before the coaching program I was lost and confused especially in regards to my personal relationships, family, career, future direction etc. Jacqueline taught me to take a step back, reflect, become more involved in the things I love, develop and implement goals, step out of my comfort zone, live in the present and practice gratitude on a daily basis. This process has allowed me to really understand how fortunate I am. I am now excited about the future instead of just letting life pass by and look forward to working through my 2018 themes with Jacqueline in the coming months. 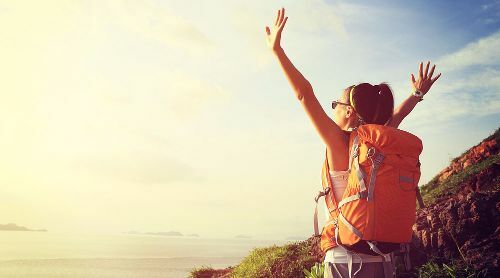 Floundering and bored at work, dissatisfied but want a meaningful career that actually makes a difference and inspires you and those around you? Constantly being overlooked for better paying jobs due to low confidence, and ‘presence’? Second guessing yourself and falling victim to your own insecurities and fears? Suffering from analysis paralysis, procrastination, clutter, bad habits and conflicting priorities? Living in “What-if” land, easily distracted, manipulated and staying stuck in the same old patterns? Disorganised, overwhelmed, stressed, or burnt out with all your brilliant ideas and possibilities? Live with natural happiness, joy and energy. Smile, laugh and impress with increased confidence and self-worth. Love deeper and enjoy closer relationships with your partner and family. Stick to your guns with mindset strength & resilience. Clear pathway to success with personalised plans. Healthy habits are daily steps to your success. Reassurance, accountability, support and stability. Light up the room – your ‘lust for life’. Sound Familiar? Call Jacqui today for a free 20 minute chat and discuss exactly whats going on for you. The biggest benefit for me was getting out of a rut and the negative self belief that I couldn’t do it. I now have the awareness of ANTS (Automatic Negative Thoughts) and realised my self limiting beliefs were holding me stuck in a rut and I was doubting myself. 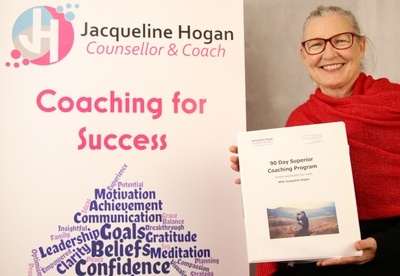 If coaching with Jacqui feels inspirational, make a call and have a free short chat about your goals, issues and aspirations. Learn more about the coaching program and schedule a discovery session – You may be surprised by what’s in store for you! or Request a Callback using the form below.